In the past year and half, Madison has Come a long way and has most recently learned to drive her learning in a whole new way…by setting goals. She started off with long term goals and now she has evolved into short term goals as well. 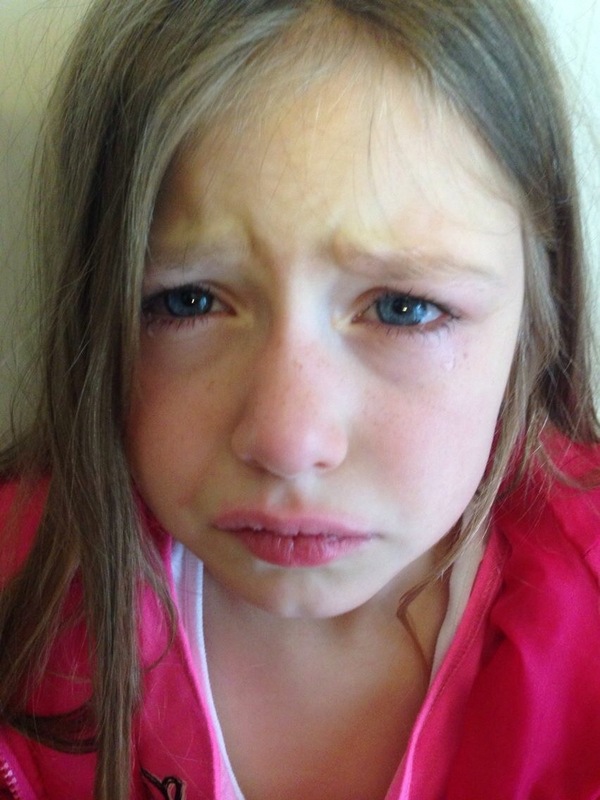 Madison was thrilled when a Speech and Debate tournament opened up in our area for her age. She had completed the requirement of attending a summer camp and was ready to move forward. It is an excellent experience for her. It is also very time consuming. It is a program for public and private school students and honestly, I do not know how they do it on top of a full school day. 🙂 Regardless, Madison is enthusiastic and looks forward to working on her homework for this club everyday. 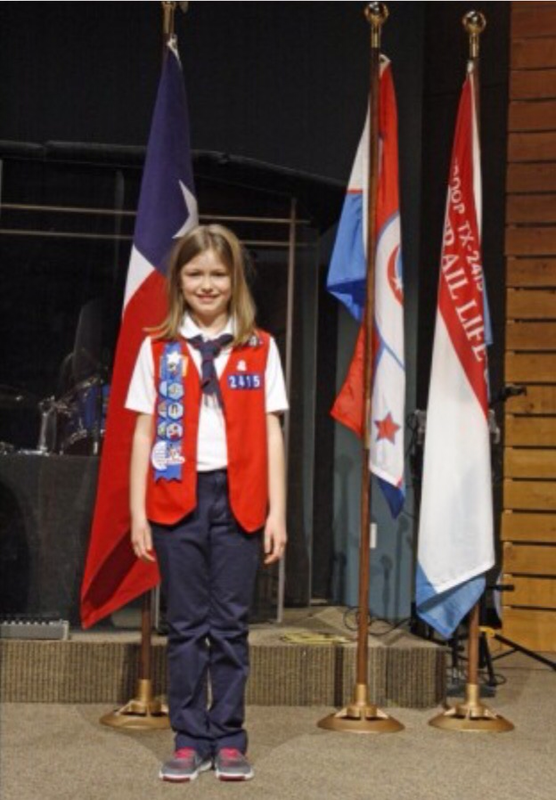 She will compete in May with an informative, interpretive and an impromptu speech. She is not focused on the outcome of this tournament, just the experience of it and she is enjoying every minute. We decided the best way to approach her speech writing was to use Dragon Speak. It has been a lifesaver for the both of us. She can say exactly what she wants to and write everything all on her own. She loves it. 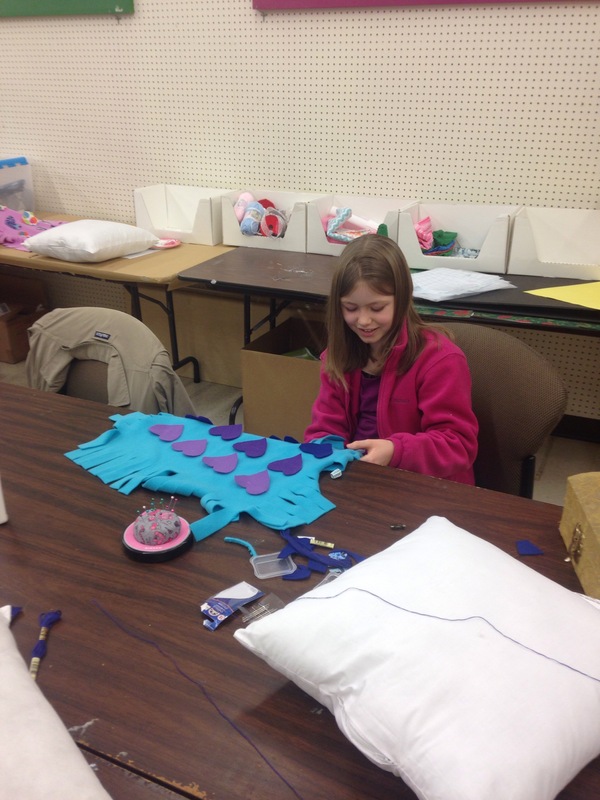 Sewing and knitting are other skills Madison has recently become interested in learning. 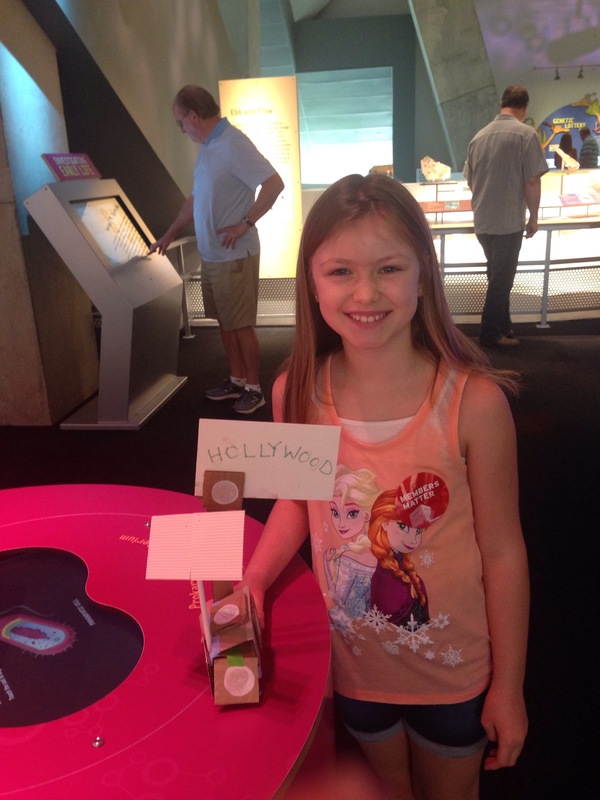 It is a bonus that they also meet the requirements for American Heritage Girl Badges as well. My mother is an experienced seamstress and is very good at knitting and crocheting. Unfortunately she lives too far away to be able to teach Madison, so we signed up for classes at Jo-Ann fabric. 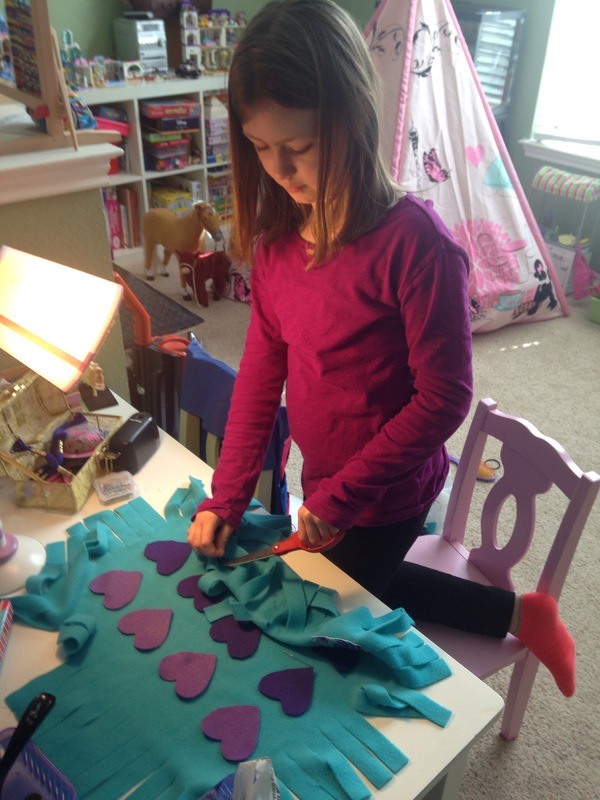 Madison learned how to sew a pillow made of fleece and is continuing to work on it at home. She has 16 hearts she cut out that she is sewing on before making the actual pillow. She works on this project everyday. The knitting class is coming up soon and I can only hope it will go as well as the sewing class did. She is also working on weaving with the weaving loom she received for Christmas and she continues to work on a latch hook project as well. She loves them all and does them on her own everyday. 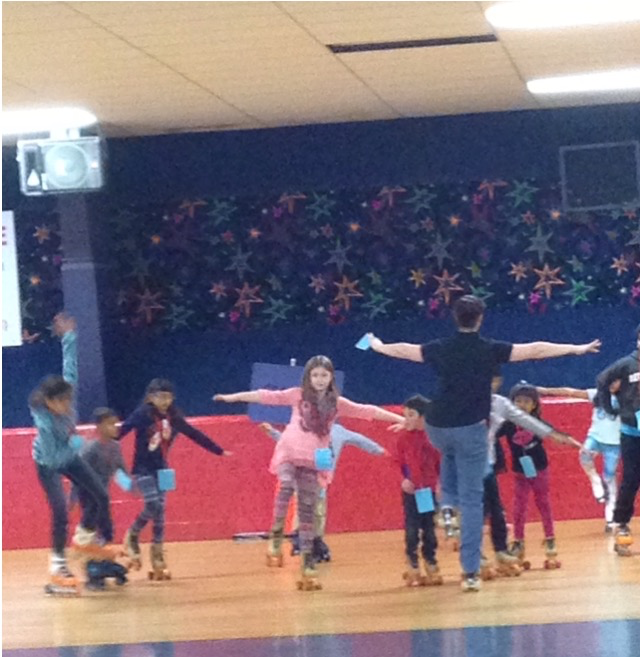 Madison has taken an interest in roller skating with the goal of taking lessons to gain the skills she needs to join a dance roller skating performance class. That is another recent goal she has set. We have found a new balance between homeschooling and field trips and events. I will share those in an upcoming post and what we are doing as far as homeschool curriculum now. I read an article yesterday that really hit home. It won’t make sense to everyone who has a gifted child, because there are many different types of giftedness and they do not all fit into a box neatly wrapped with a bow and that’s ok. But, if you can identify with this article, it will speak to you in volumes and that is why I wanted to share it. The one thing I am blessed with as a homeschooler is having too many opportunities. I have had to learn to prioritize and to do what Madison is interested in as well as broaden her horizons. I guess in a way I am still learning to prioritize, because it’s hard to not want to ‘do it all.’ It is also hard to balance work and fun. Nessy.com has been a huge lifesaver. Madison’s spelling has improved 150% and her confidence has soared. Madison decided she wanted to participate in a Speech and Debate competition. This is going to consume a major amount of our time, but it will be worth it because it will benefit her in so many ways for her entire life. Madison is continuing piano, American Heritage Girls and has taken up roller skating lessons. 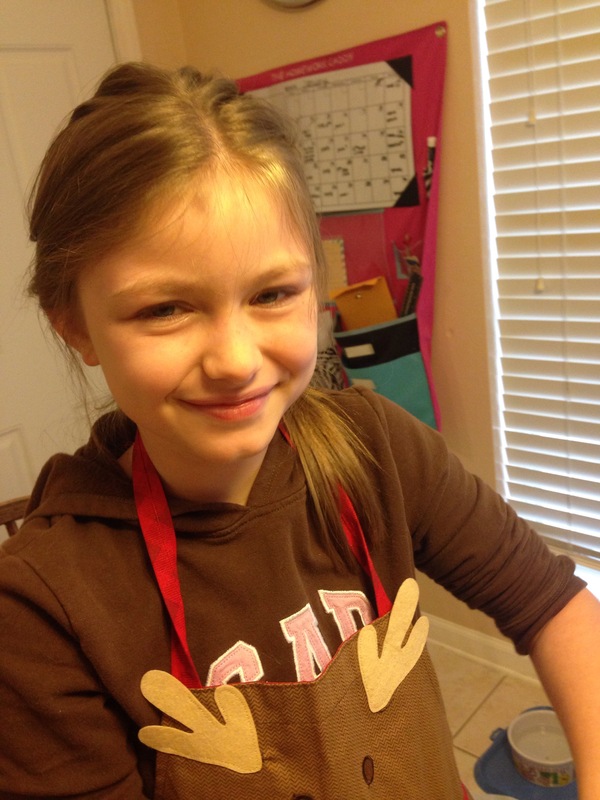 She wants to complete the level award for American Heritage Girls and enjoys earning badges. She is also looking forward to the upcoming local Mensa youth activities. Madison is now working on the 9-11 moving beyond the page curriculum. It is becoming more involved as she is advancing. 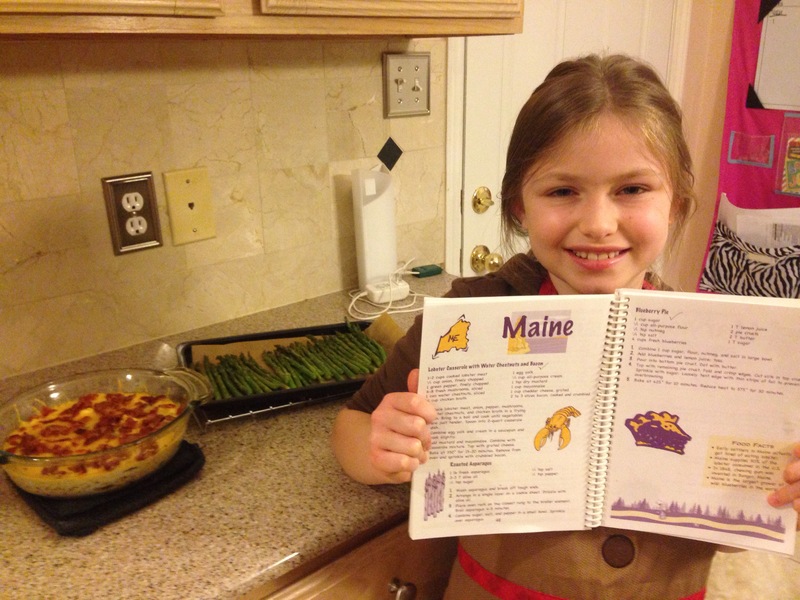 We are learning about each state and are cooking meals inspired by some of them. She also enjoys online classes through currclick.com. I know that she is going to have to prioritize activities and balance it all very soon. We cannot do it all even though it would be fun. 🙂 In the meantime, I am holding on to the rope for dear life! Under Pressure. Madison learned the beat of this song by patting her legs and clapping in a Gymboree music class when she was 18 months old. She loved it. Pat, pat, clap…. Now the song has a whole new meaning….. There are several books on how to raise a child. There are a few great books on how to raise a gifted child, but not a day to day, year to year guide. We all make mistakes. All gifted children are different and there is not a right or wrong way to try to figure out how to raise them. But, what I have found is there is comfort in learning from others and sharing what has worked and what doesn’t and applying that to see if it works for each of us. To identify and know that you are not alone. I have been absent from blogging for quite awhile for a couple of reasons. The first being, it threw me for a loop when I realized Madison could have have stealth dyslexia. It threw me for a bigger loop that I don’t know if it is that for sure or if there are other disabilities that may hinder her or if she is just asynchronous and is at grade level for some things and light years ahead for others. I am still trying to figure that out. The second being, we tried being ‘normal’ for awhile. We tried ‘keeping up with the Jones’ in the realm of the social aspect of homeschooling. As nice as that would have been, it didn’t work for us. Sometimes, you have to try something new to realize what is really important and what we came to realize is that what may work for the majority doesn’t work for us, even if we really wanted it to. We are who we are and that’s ok, even if it means we aren’t like everyone else. Actually, it’s more than ok. 🙂 There are defining moments that are awakening moments that tell you when you are not on the right track….If Madison is still misunderstood, it’s ok. If she is judged and not given a chance to explain that’s ok too. That just means that changes need to made and we have to take a step back and refocus on our priorities. It happens and I am sure it will continue to happen throughout her life. Respecting each other and celebrating our uniqueness is a blessing. Taking the time to truly understand one another is a bigger blessing. So now that I realize that what is important is that I have time to blog and that Madison is happier to have time to be creative versus being filled with endless activities that drain us both, I will be blogging on a regular basis again. We no longer will be Under Pressure. We will be ourselves and if we don’t fit, it’s ok. Because when we are, it is real and means the world and is not as stressful. And that doesn’t mean that the way others do things is wrong by any means, it just means it’s not for us. Life is never perfect, but it is not worth pretending to be someone you are not, being misunderstood, or trying to fit a square peg into a round hole…..
More of us ‘on track’ to come..
A runner who was out running with her dog came up to our house Sunday morning. She was desperate to find help because 3 dogs were loose and were running back and forth across Garden Ridge. She told me they had collars and that she didn’t have a phone to call their owner. I still feel guilty, because I didn’t immediately feel like jumping to help. This is a first for for me in that kind of situation. But I called for Jeff and he headed out. Madison and I followed shortly and with the runner’s help we were able to head in the direction of the dogs and grab them. We called the owner and sat and waited for her to come pick them up. The runner was so grateful that we came to help. Madison had grabbed treats and since the dogs we had caught didn’t want any, she gave one to the runner’s dog. As we sat there I felt even guiltier…the dogs were tired and very sweet. They were having a huge adventure, but they were safe. When the owner pulled up and you could see their faces zero in on the car and their eyes light up and tails wag 100 miles an hour.They were so excited to see their mom! She was so grateful and slightly embarrassed they had gotten out. The impact this had on Madison was huge. At this point I realized that I have been consumed by homeschooling and making sure I was on top of her education. It is exhausting and overwhelming at times and it’s a lot to have on ones’ shoulders. But it’s not as important as helping others in need and doing the right thing. God works in wonderful ways to remind us of what is important. It’s not being the star in a sport or having the most fun learning. It’s about being human and helping those around us. We used to foster puppies and dogs all the time and we had to stop due to our cat’s health. I really haven’t implemented other ways to give since then. There are many ways to help animals and humans. I am grateful for the many gentle reminders that tell me this what we need to make a priority in our lives. It matters and it is very important. As parents we have to lead by example. I am committing to doing just that. I recently saw a post from a friend on Facebook that hit home. Everyone’s busy, it’s all about priorities. 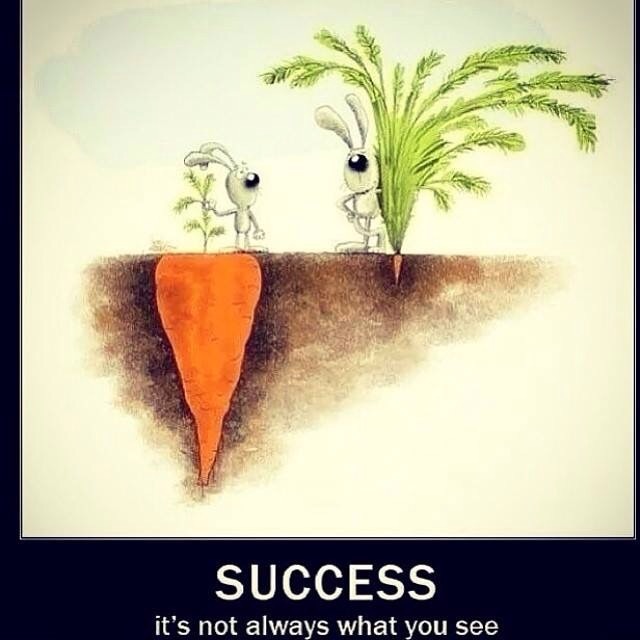 This is so true. It’s been awhile since I have posted. I was very excited to start our school year and then we ran into an issue. I had increased the amount of writing Madison was doing and that didn’t work. I also noticed she couldn’t tell time past the hour or half hour. That was the biggest red flag. I did my research and unofficially concluded she probably has stealth dyslexia. The having trouble telling time, having trouble with her math facts, not being able to sound out words and her spelling was way out of wack. Here’s the catch though, she can read like a champ and her comprehension is stellar. Actually, her scores are great. We ended up testing her again with the ITBS, but at the fourth grade level so I could find her strengths and weaknesses. She scored a composite of 7.9 (seventh grade, 9th month.) same score for comprehension. She even scored a 6.5 in spelling. She had a score of 5.7 in Math computation. That is why I say ‘stealth’ dyslexia. She can compensate and she does. So now that I may or may not have figured it out, what do I do? I reached out to my homeschooling friends. One of my friends has a son who is dyslexic and she uses nessy.com. We did a trial for reading and Madison loved it. So I signed up. I decided to start her from the beginning (kindergarten) level. The way it teaches is awesome and she is making great progress learning phonics and spelling in a way that helps her. She can already read, so I’m waiting to see the difference in the spelling piece. In the meantime, I signed her up for their Math program. The Math focuses on telling time and multiplication facts. Now I have recently been on a mission to teach Madison to tell time in every way possible. You name it, I’ve done it. The most frustrating piece was a quarter to and a quarter past. She was so excited about the nessy program she spent hours on it and made it through in a week. She can now tell time. She can even tell you a quarter to and a quarter past. This means two things. 1. I am forever grateful and indebted to my friend because without her knowledge Madison still wouldn’t know how to tell time. 2. This confirmed to me that Madison is more than likely dyslexic. I decided to have Madison work with an OT for her handwriting. She has identified issues with Madison’s grip and pressure. She is amazing. Madison loves doing her OT exercises and going to OT appointments. She is also working with Madison on other sensory issues and I am so glad we are on the right track. If things don’t improve with the path we are taking, I have the option of having Madison do a nuero psych evaluation. It will cost us $1800.00, so I am going to see if what we are doing is working before taking the next step. I have a good feeling we are currently moving in the right direction. With that said, I am feeling more grateful and more blessed that we homeschool. I truly believe there is no way this would have been caught in public school. I have the opportunity to customize what we do so it fits with how Madison learns. I know education is moving towards a definitive model of ‘one size fits all.’ Now I see articles that the gifted label should go away. I personally saw my child regress in public school because of this model. I have seen how she has thrived being homeschooled and by having the option to learn what she wants, when she wants and how deep she can go into what interests her. Am I worried about if she’s on track? Not after testing her. When she’s at minimum of 3 grade levels ahead on some subjects and a maximum of 7 on others, I know we have taken the right path. Not allowing her to do this could have devastating impacts emotionally. I saw how being held back and misunderstood in public school affected her. At the end of the day it doesn’t matter what anyone else believes or what articles I see come across. I’ve read Ungiftedness and I thought it was a waste of money. I also understand it may be hard for others to see unless they have a gifted child. All that matters is that my child is happy and is doing what she wants to. She knows at any moment she could go back to school. It’s her choice. I didn’t ever plan to homeschool, but I do it for her, because it’s what she wants and feels she needs. I’ll make any sacrifice I need to for her and do what it takes, because I’m her mom. This post has affiliate links. Please see my disclosure policy for more information. I am working hard this year to be prepared and have a plan on everything I would like to cover in September, October, November and December. I am going to break down what I plan on covering by subject. This post will focus on English/Language Arts, Reading and Spelling. We will start our day with our new morning routine which also includes Grammar and Comprehension. Madison will also continue EPGY from GiftedandTalented.com. Between EPGY and Moving Beyond the Page we are covered for English/Language Arts, Reading and Spelling. As of right now, Madison is at 4.75 in Fourth Grade EPGY Language Arts, so next year Madison is planning on getting through at least Fifth Grade. The Student Course Details outlines what is specifically covered in each grade. You can save 10% off of any course giftedandtalented.com offers by using my personal advocate code PGEK2FP when checking out. I really like Wordly Wise 3000, so we will be continuing on to book 4 this year. I think vocabulary is extremely important. Moving Beyond the Page has quite a bit of vocab, so using Wordly Wise 3000 is overkill, but we are doing it anyway. 🙂 We use the Student book, Answer Book and Test booklet.